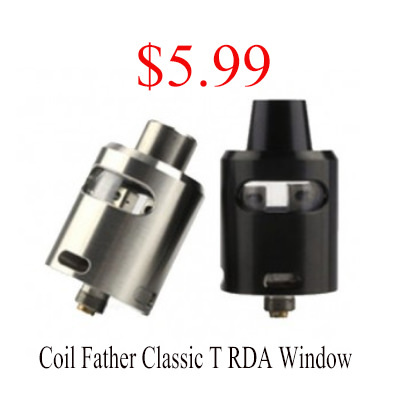 Today i find A series of Coil Father RDA all of them are very cheap. comes with 810 Drip tip. Delta is made of stainless steel and Resin with 24mm diameter. It features bottom adjustable airflow system.